I got a message from Facebook that my name was tagged in a photo. It happened to be from Nina, a classical guitarist from South Africa. She had discovered a package sent by me, and told her friends about it on facebook. 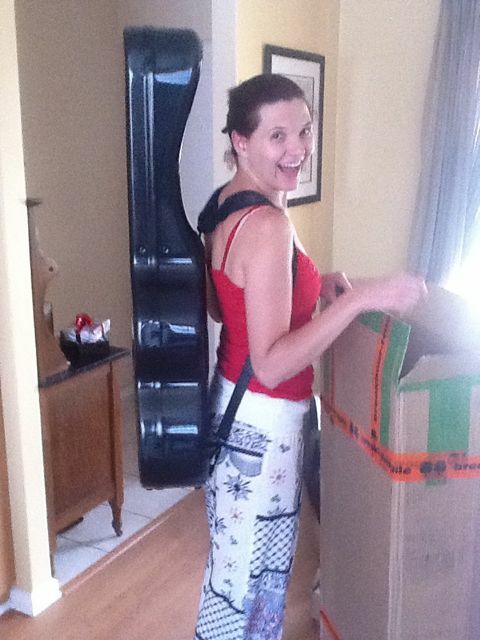 It happened to be a Bam flight case, her birthday present from her husband. As you can tell, she is very happy with it.